A ridge capping provides an effective watertight barrier, as well as an aesthetic finish to the cut ends of the sheet at the ridge and hip lines. Ridge Cap can provide the utmost protection in roofing with its industry-leading design to decorate as well as optimize the function of the roof and increase the life span of the roof. Our many different metal material options provide you with a wide array of design options to consist with your shingle style. Roof ridge cap made of fiberglass provide a watertight, and easy to install and are long-lasting solutions for utility buildings. Our roll forming machines can be designed according to client’s sample or profile drawings, various ridge cap profiles can be obtained by our machines, the roof ridge tile can be used to construct the buildings together with the step-tile roof panels. 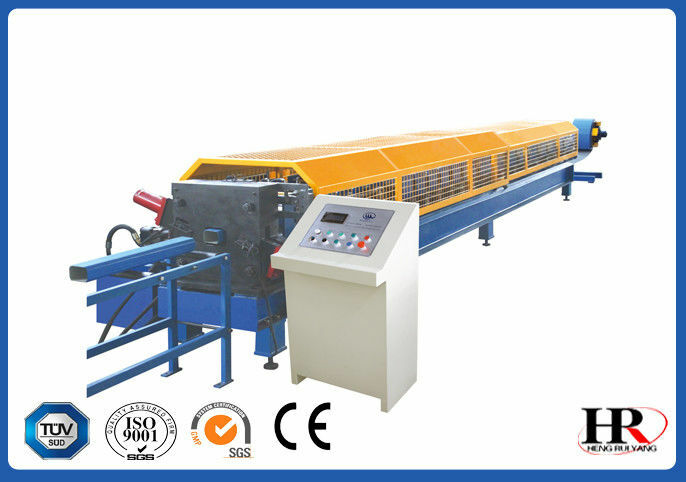 This ridge cap roll forming machine can rollform metal ridge which is mostly used with colorful roofing tile sheets. The whole roll forming line buildup by de-coiling (mainly consists of un-coiler and its base), gearing rigging, roll stand and main machine, pressuring system, cutting equipment, hydraulic system, control system, and product supporter. We can manufacture as per customer provided drawings or real objects of sectional materials, ridge Tile, Roof cap, metal ridge, customization is welcome. unique parallelogram hinge mechanisms to achieve the flap rotation to bending plate, the maximum bending angle of up to 125 ° (work piece minimum angle of 55 °), without using a mold. Back-gauge positioning mechanism is to achieve the precise positioning of plates, it is CNC controlled. The pressure compensated, load sensing hydraulic system. The machine is configured with the longitudinal slitter, slitting strip width can be adjusted. Rain penetration through tile roofs is often caused by the cracking of sand and cement adhesive frequently used for tiles. Sand and cement adhesive has little flexibility and can crack due to natural movements in a house or temperature fluctuations. Metal flashing roll formed products, such as the tile cap has been purposely developed to overcome the disadvantages of the traditional sand and cement adhesive. Tile ridge cap pointing material was tested to cyclic fatigue loading conditions. The sample system adhesive successfully passed the test criteria at the design pressure. 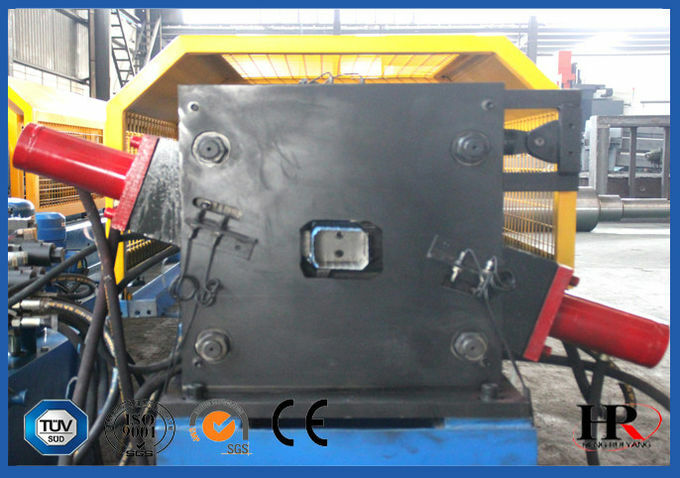 The following is the specification for the metal roof ridge tile roll forming machine. We can manufacture as per customer provided drawings or real objects of sectional materials, customization is welcome. PLS contact with us for the further details!